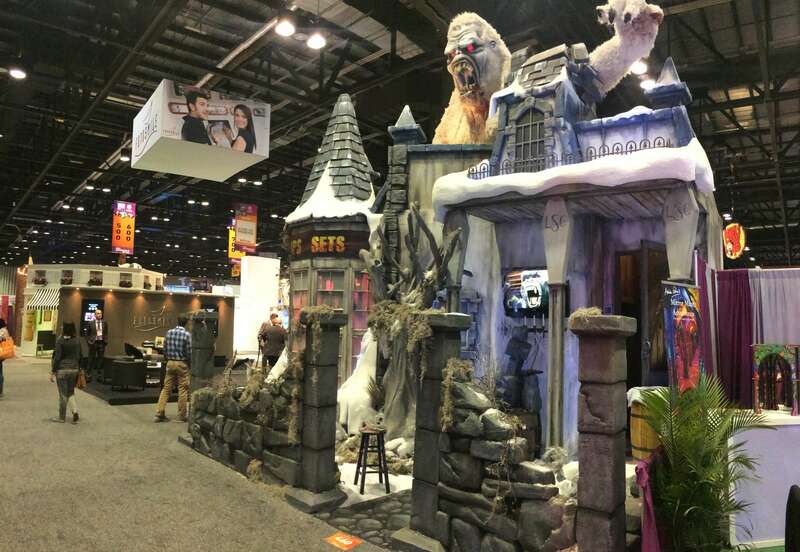 Little Spider Creations sculpted a yeti to sit on top of a winterized mansion for our 2016 trade show tour. 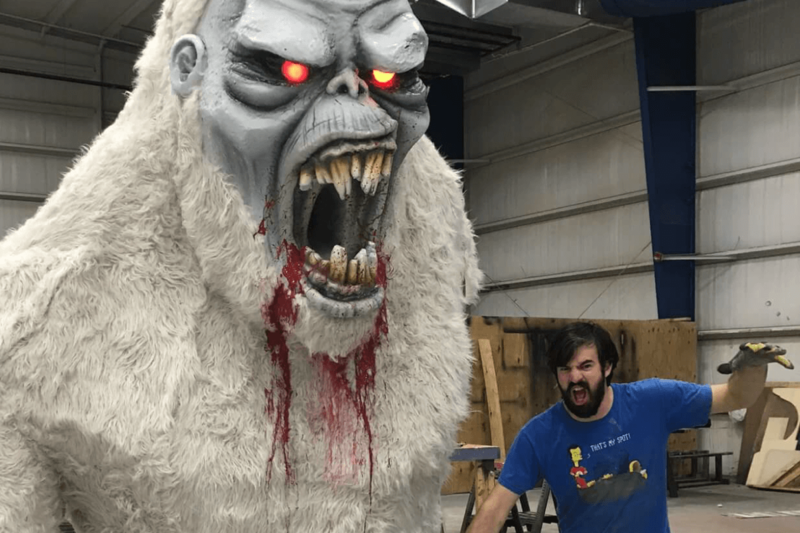 Meet Philip The Yeti. He is the official unofficial mascot for LSC. 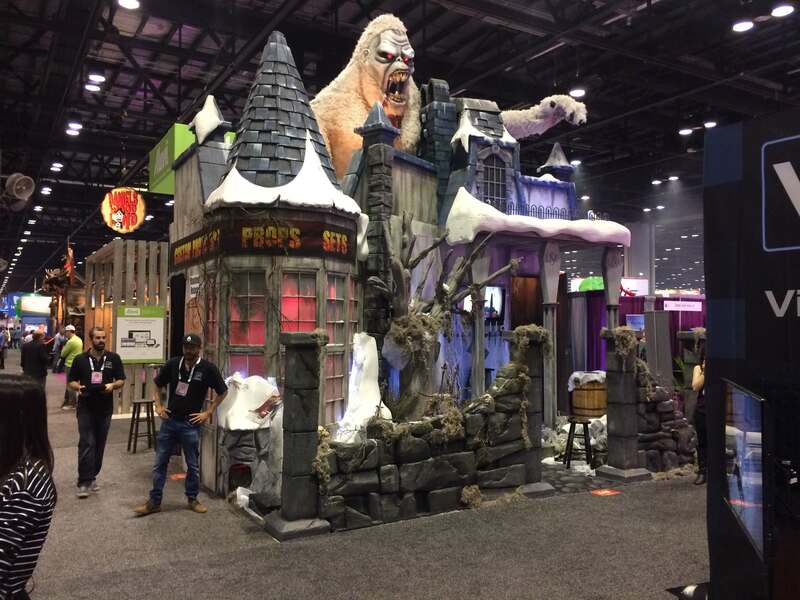 He sits on top of our 2016 Winter Mansion trade show booth that we took with us to IAAPA and Transworld. He has an animated arm, light up eyes, and an appetite for grandma. He is a favorite character around our studio with the kids next door and he welcomes all to come and visit with him.